MSE Creative Consulting Blog: See A Tornado? Mow the Lawn! It is a great photo. It is one of a series taken by his wife. As to whether it was safe, I certainly wouldn't mow the lawn the close to a tornado simply because it is possible a piece of debris could fall on me, plus I would want to see a tornado that spectacular. 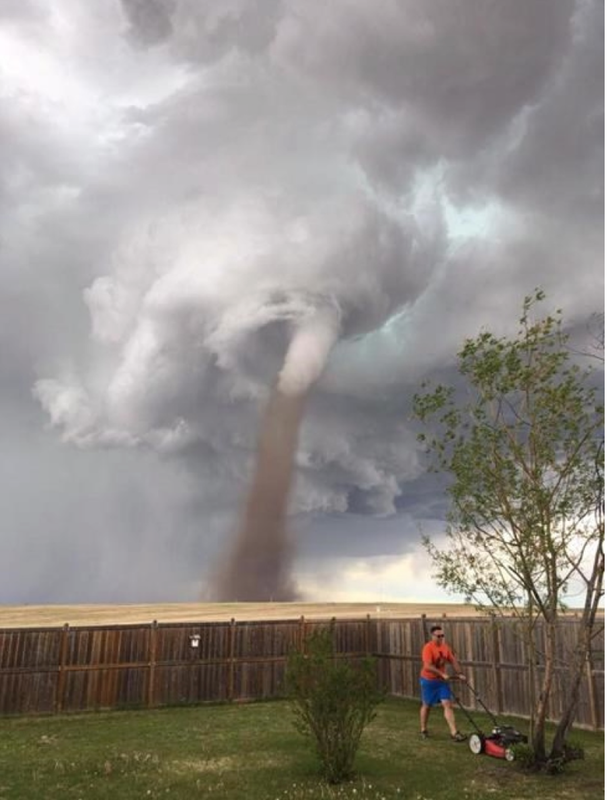 That said, they asked the guy mowing the lawn and he replied that he was, "keeping an eye on it."